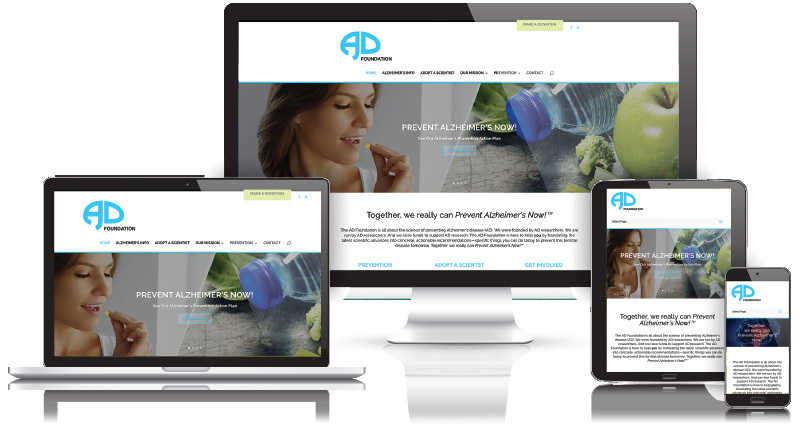 The AD Foundation, founded by researchers for the treatment and prevention of Alzheimer’s Disease, is an organization based in Southern California whose goal is to raise funds and awareness for the support of AD research. When the Foundation approached us, they were in need of a website that told their story and helped facilitate connections between scientists and the community. They also needed a venue to help support and promote their associated Alzheimer’s Disease prevention supplement, SuppleMEMTM AD.